Q: What is the most interesting or challenging tax problem you have worked on to date? A: For much of my career, I have worked on tax problems involving not just technical tax questions, but also valuation questions whether in terms of tax planning, mergers and acquisitions, or tax controversy. In particular, I have enjoyed working on several large matters related to transfer pricing and how international transactions between related parties should be valued for tax purposes. The cases literally took me around the world and sometimes involved negotiations with not only the IRS, but foreign revenue authorities. Q: Currently, what is a pressing tax concern for your clients, and how are you addressing it? A: A client’s federal or state tax examination, appeal, or litigation is frequently their most pressing concern. But with respect to privately-held or family-owned companies, a longer term concern is how to integrate effective tax planning, succession planning, and strategic business planning to maximize value for the enterprise and its owners. It’s not always about achieving the perfect tax structure in the short term, but sometimes maximizing value requires a more thoughtful longer-term solution that better integrates with unique business and family circumstances objectives. Rarely is there a one-size-fits-all solution in these cases. Q: How did your experience working for a U.S. House Ways and Means committee member and the Internal Revenue Service shape your career? A: I was extremely fortunate to be able to have a front row seat not only in the legislative process, but also the administrative development of regulatory guidance related to the last comprehensive reform of our federal tax code. In particular, as an Assistant to the Commissioner at the Internal Revenue Service, I gained a much better understanding of how the federal tax policy and administration processes work. As a consequence, I’ve always been interested in and worked with clients on emerging tax policy or enforcement issues developing in Washington D.C.
Q: What’s one thing you wish everyone knew about the Koley Jessen Tax Practice? A: The size and diversity of our capabilities and practice are what attracted me to Koley Jessen. From estate and succession planning, to federal taxes and state taxes, we have great bench strength related to our ability to serve clients. 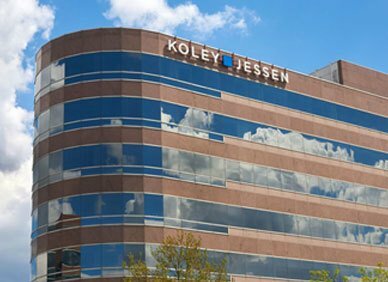 Moreover, we are able to team with our Koley Jessen colleagues in areas such as mergers and acquisitions, litigation, and employee benefits to be a preferred provider of highly specialized services when they are required.